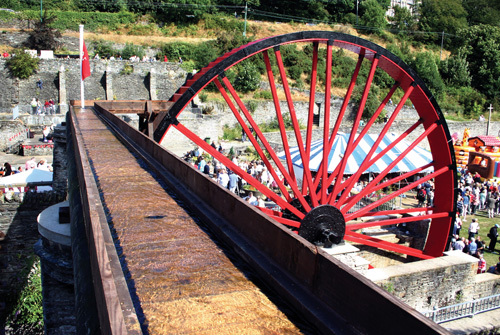 Above: The water flows steadily through the aqueduct and onto the wheel. 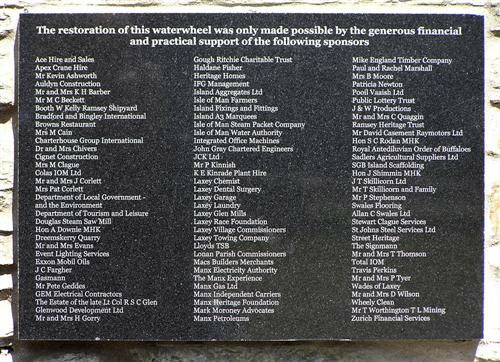 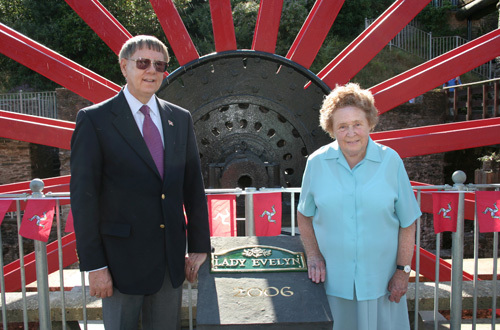 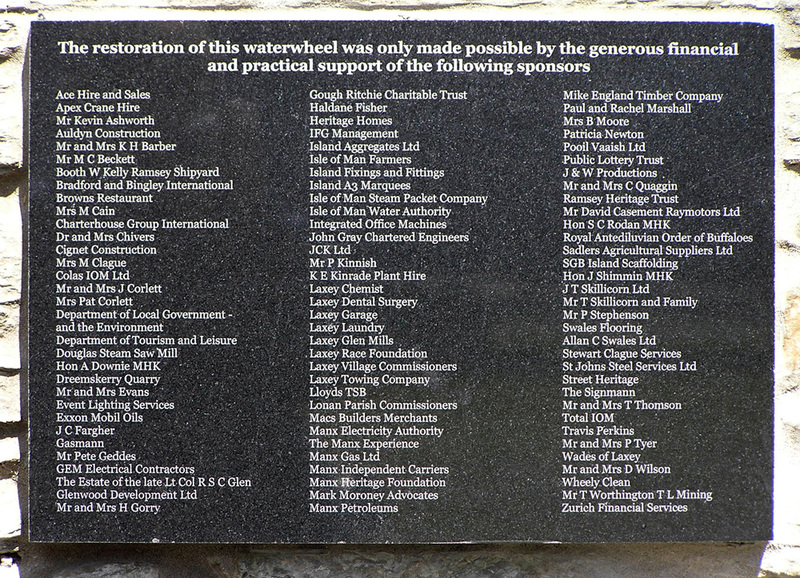 Above: Mr Antony Hamilton and Mrs Evelyn Jones whom the wheel was named after. 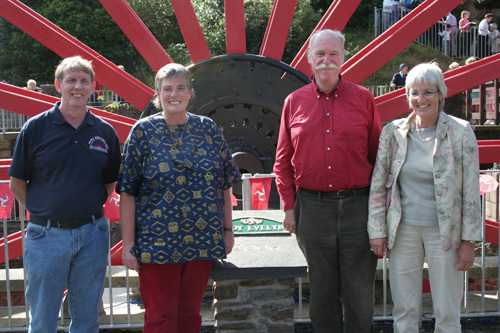 Above: The three great grand children of L&G Howell. 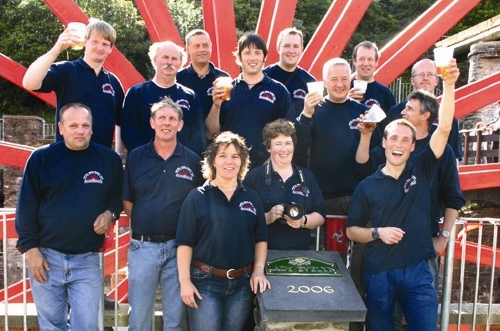 with Pete Geddes on the left. 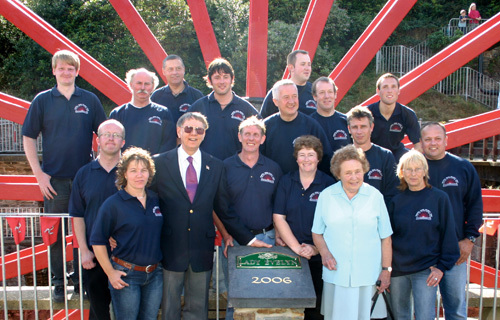 Above: The team with Mr Hamilton and Mrs Jones.